I have a KEYONE BBB100-2 black edition which still is on the january security update (AAT166). It is a simlock free unit with a vodafone sim. With all the talk about whether or not the K1 will get Oreo, I am more concerned about when I get the security updates.... It's allready middle of march. As I am new on BB, is this normal or can I do something ? Here is a list of all BBB100-2 variants. Many have received AAV119 (Feb), but AAW377 (Mar) has also started. Are you with Vodafone uk by any chance? UK has Feb. First one to get it actually. All of UK. Yes. Both for Motion and KEYᵒⁿᵉ. interesting Vodafone Spain on a UK KEYone currently on Feb Patch and any day will get March. Vodafone Spain is always very fast in sending updates. Vodafone Spain doesn't have anything to do with it. The fact that your KEYONE is a UK device will determine when you get updates. Well Brother who got his KeyOne from Vodafone Spain receives his updates at the same time I receive mine. Sometimes the update schedules of the UK devices and the EU devices run simultaneously. Nonetheless, the production number of the device is the primary variable of interest. See also the website that has information on each production number. I have an unlocked UK KEYone which is being used in the Netherlands. It has happened before that all other KEYones on my provider already got the update, whereas I only got it after it got released for my production number in the UK. I have never used any Android device, so I do not know how unsecurity this OS is. But as I see many people are using Android phone normally. 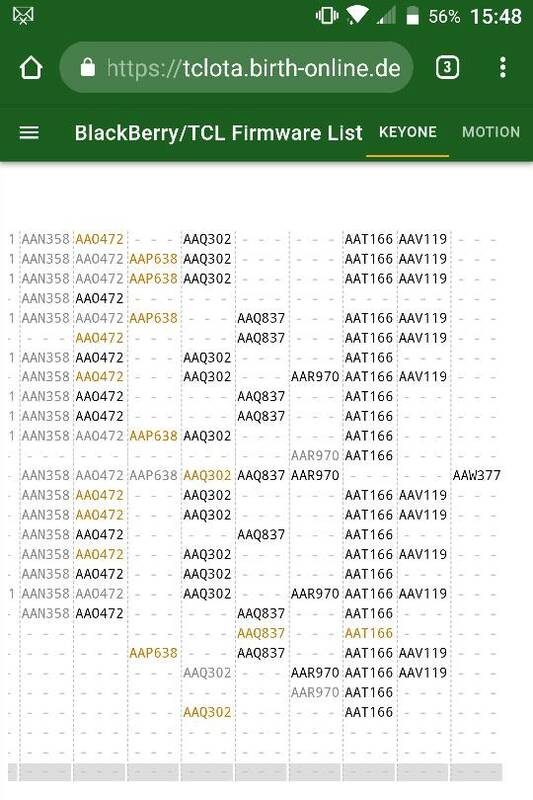 I do not know what is important of BlackBerry security update? Is it the same as virus protection or somthing else? Does security update make the phone be slow? Security updates are a lot like your normal computer updates. They're used to patch vulnerabilities in Android, and are provided monthly by Google. BlackBerry Mobile devices are one of the few Android devices to receive these updates monthly, aside from the Google Nexus and Pixel devices. BlackBerry Mobile will also sneak in some bug fixes of their own to help with the stability and performance of the device. This is typically why we receive the update around the middle to end of the month. BlackBerry's security is in the transparency and notifications from their DTek app. That app monitors app behaviors to alert you to possibly unintended data use. It will also help you by giving you tips to add more layers of security to your device that you may not know is available. Security updates never make a device "slow". They are purely to make the device more secure and protected against threats. No update yet for my KEYone unlocked in Germany. Why it doesn't appear for all KEYone devices same time? AT&T in the U.S. here. It was explained to me today through AT&T Customer support that the manufacturer sends it to the different phone companies and then the phone companies push it to the customers. Just today after a chat session AT&T manually pushed it to my number and I was able to go from the Oct 2017 patch to Nov 2017 patch. Only 4 behind now. Anyone with a UK KEYone who received the March update yet? Well that February update debuted very early in the UK, shame they couldn't keep that up - whatever the reason. I got my unlocked / sim free KEYone Black in UK last february and never got any security update. and the OS version is AV119 since Day #1 . By the way i have a Claro brazilian SIM card installed on it. Last edited by mushroom_daddy; 05-04-18 at 12:55 PM. Optiemus KEYone doesn't download update!